View cart “Father’s Lamb” has been added to your cart. 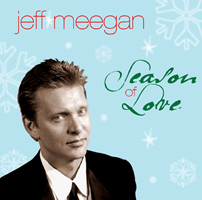 Jeff Meegan is an accomplished singer/songwriter and producer. When he is not helping his 9 year old daughter with homework or chasing around a very rambunctious 3 year old girl saying “put that down honey”, he tries his best to write music for daytime favorites like “One Life to Live”, “The Young and the Restless”, and “All My Children” as well as prime-time programming including “CSI”, “Everyone Hates Chris”, “Friday Night Lights”, “Swingtown” and numerous other film and television projects. Jeff Meegan is an accomplished singer/songwriter and producer. When he is not helping his 9 year old daughter with homework or chasing around a very rambunctious 3 year old girl saying “put that down honey”, he try’s his best to write music for daytime favorites like “One Life to Live”, “The Young and the Restless”, and “All My Children” as well as prime-time programming including “CSI”, “Everyone Hates Chris”, “Friday Night Lights”, “Swingtown” and numerous other film and television projects. A native of Chicago, Jeff’s interest in music began at an early age. His parent’s met and married after attending DePaul University’s College of Music. Not surprisingly, music was a big part of the fabric in the Meegan household. At the age seven, he began dong his best to find every possible excuse not to practice piano and drums, but by the age of 15 had lost the battle, and even began writing songs. Every moment since those glorious childhood days, Jeff has wished he actually did practice. Today, writing and producing music has become a driving force in Jeff’s life. “I can’t imagine a day going by without trying to add more music into the world. It’s a gift that I need to share”. 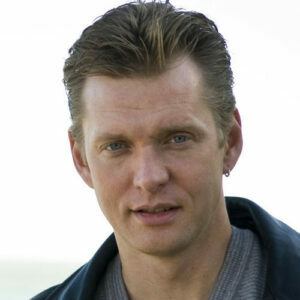 Jeff finds the inspiration for his music as a husband, father, son, brother, and good friend. The original songs are remarkably well-written, genre- perfect easy listening standards, every one. Brad Hatfield's easy listening instrumentals and arrangements serve as beautiful holiday wrapping and Jeff Meegan's bell-clear pop vocals put a pretty bow on this remarkable package. 'Bring Them Home' is a hit! Absolutely our new favorite Christmas CD! I am so happy a friend recommended it. I bought the CD for my sisters and many friends---everyone agrees it is music that warms your heart. What a wonderful album! I heard the song 'Bring Them Home' on Chicago radio station WLIT and knew I had to hear more. Ordered the CD and have listened to it along with all my other favorite Christmas albums. Great work, Jeff, continued success!